Good vibes as standard. This week we're joined by 3 of the finest in town, the impeccable DJ Soul, Lovestory & Parler for what's set to be a great night out. 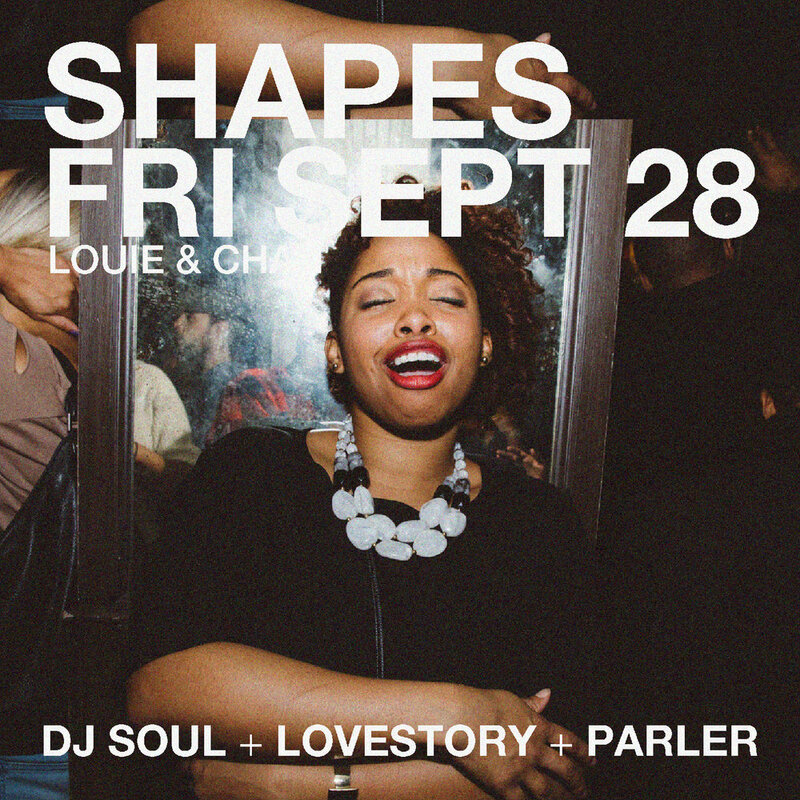 Shapes takes place every Friday night at Louie and Chan with the best DJs in NYC and beyond. Expect a musically educated party with nothing but good music and good vibes whatever the genre, with a healthy dose of RnB, House, Dancehall, Hip Hop, Afrobeats, and 80's Soul.